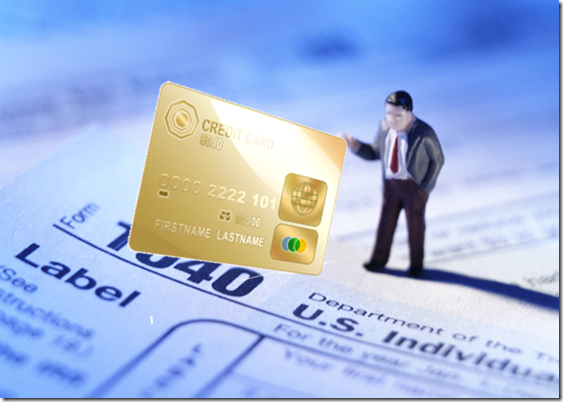 Up to date information about paying taxes by credit card can be found here: Complete guide to paying taxes via credit card, debit card, or gift card. Third quarter estimated taxes are due this Friday, September 15th. You probably don’t like paying taxes, but… paying federal taxes can be quite rewarding. The key is to earn credit card rewards that more than offset associated fees. Even if you don’t owe estimated taxes, you might want to consider paying some if you need help meeting minimum spend requirements on a new credit card. In that case, you’ll get your money back after filing end of year taxes, so you can think of it as giving the IRS a short term loan. Credit card fee 1.87% to 2.25%: The IRS maintains a list of companies that accept credit and debit cards towards tax payments. You can find the current information by clicking here. Currently there are three separate payment processing companies on the list. At the time of this writing, debit card fees range from $2.25 to $2.65 per transaction and credit card fees range from 1.87% to 2%. You can also pay taxes with bill payment services like Plastiq, but the fees then are usually much higher (e.g. Plastiq charges 2.5% for credit card payments). Two payment limit (per processor): The IRS maintains a table of frequency limits for paying taxes via credit or debit card (found here). In general, they say you can make up to two payments per tax period per type of tax payment. For example, you can make 2 payments every quarter to your quarterly estimated taxes, and you can make 2 payments every year to your annual taxes. Important: In my experience, these limits are enforced per payment processing company. That means that you can really make up to 6 payments per tax period per type of tax payment. An IRS advisor I spoke with several years ago did not think that there would be any problem with making more than 2 payments by using different processors. Since then, I have made more than 2 payments per tax period many times and never had any issues. That is, of course, just my own personal experience. I can’t guarantee that your outcome would be the same. No cash advance fees: I’m often asked whether credit card companies charge cash advance fees when paying taxes by credit card. The answer is no. All three payment processors agree (via their FAQ pages) that the payment is treated as a purchase not a cash advance. You can find FAQ info here, here, and here. Unlimited payments: If you’re willing to incur slightly higher fees, you can make an unlimited number of tax payments via bill payment services such as Plastiq, Mint, or Tio. Plastiq usually charges 2.5% to pay bills (including taxes) via credit card, but they occasionally offer lower fees via short term promotions. For details, please see: Plastiq Bill Payment Service. View tax payment history: Once you’ve made payments through online processors, you may want to see proof that the IRS received the amount you sent. You can view your past payments at any time by signing up with this government website: www.eftps.gov/eftps/. Full details of how to signup and view your past payments can be found here. When you pay taxes via payment processors as described in this post, they will ask you which taxes you are paying (ex: 1040 estimated tax, 1040 2017, etc.) and they will collect your SSN and other info that the IRS will use to match up your tax return with these payments. When filing end of year taxes, you should report these payments on line 65 of Form 1040 or line 41 of Form 1040A. In my experience, if you make a mistake (forget to report some of these payments, for example), the IRS will catch the error and refund the difference. A number of credit cards earn cash rewards greater than 1.87%. For example, the Discover It Miles card earns 1.5% cash back and doubles all cash back earned during your first year of card membership. So, if you have the card and you’re still in your first year of card membership, you’ll make a profit by paying your taxes with your credit card. Since you’ll earn 3% cash back on both the base tax payment and the processing fees, your profit should be approximately 1.186% of your tax payment. If you recently signed up for new credit cards, chances are good that you have to spend thousands of dollars in order to earn the associated signup bonuses. Paying taxes is a fairly cheap and easy way to accomplish that. The rankings on that page change regularly as offers change, so you may find other top cards when you click through to the Top 10+ Credit Card Offers Page. Note, too, that you can see beyond the top 10 simply by clicking “Next” at the bottom of the list, or by increasing the number of cards shown via a drop-down selection box at the top of the list. The Blue Business Plus Credit Card from American Express earns 2 Membership Rewards points per dollar for all spend, up to $50K per calendar year. Since Membership Rewards points are transferable to many airline programs (see: ), this is a great way to buy miles cheaply. A 1.87% tax payment fee means that you can essentially buy miles for less than a penny each. Several credit cards offer up to 1.5 miles per dollar for spend. In these cases, a 1.87% tax payment fee means that you can essentially buy miles for 1.22 cents each. Chase Freedom Unlimited: Earns 1.5 Ultimate Rewards points per dollar for all spend. Pair with a premium card (e.g. Sapphire Reserve, Sapphire Preferred, Ink Business Preferred, etc.) to transfer points to several airline or hotel programs. Amex EveryDay Preferred: Every billing period in which you use the card 30 or more times for purchases, you get 50% more points. So, even though you’ll earn just 1X base points in paying taxes, you can earn a 50% bonus just by using the card frequently. Points can be transferred to a large number of airline programs. The Business Platinum Card from American Express OPEN: Earn a 50% point bonus for each purchase of $5,000 or more. If you pay $5,000 or more in taxes, you’ll earn 1.5 points per dollar. Points can be transferred to a large number of airline programs. Note: the fees are charged separately, so only the core tax payment will earn 1.5X. Chase MileagePlus Club: Earns 1.5 United miles per dollar for non United airlines spend. BOA Virgin Atlantic World Elite: Earns 1.5 Virgin Atlantic miles per dollar for non Virgin Atlantic spend. 4. Earn valuable big spend bonuses: elite status, free nights, companion pass, etc. Amex Delta Reserve or Delta Reserve Business: Spend $30,000, get 15,000 bonus miles plus 15,000 Medallion Qualifying Miles (towards elite status). At $60,000 spend, get another 15,000 bonus miles and 15,000 Medallion Qualifying Miles. Amex Delta Platinum or Delta Platinum Business: Spend $25,000, get 10,000 bonus miles plus 10,000 Medallion Qualifying Miles (towards elite status). At $50,000 spend, get another 10,000 bonus miles and 10,000 Medallion Qualifying Miles. Southwest Plus, Southwest Premier, or Southwest Premier Business: With Southwest, when you earn 110,000 points in a calendar year (including points earned from credit card spend) you get a companion pass good for an unlimited number of flights for the rest of that year and all of the next calendar year. Chase Ritz Carlton Rewards Visa: Earn Platinum status with $75,000 in annual spend. After that, you may be able to buy back status annually for 40,000 points (see this post for details). Barclaycard JetBlue Plus, or JetBlue Business: Spend $50,000 and get Mosaic status which offers free changes and cancellations; free checked bags; expedited security; early boarding; free drinks; enhanced point earnings; and 15,000 bonus points upon qualifying. Visa and MasterCard gift cards are debit cards. As such, they qualify for low flat fees for debit tax payments: $2.25, $2.59, or $2.65 (depending upon the tax processor you use). In other words, your cost to liquidate $500 gift cards will be approximately half a percent (0.5% to 0.54%). That’s pretty cheap. PayUSAtax.com ($2.65 fee): Make a $497.35 payment. Pay1040.com ($2.59 fee): Make a $497.41 payment. The biggest problem with this is the IRS imposed 2 payments per processor limit. Online, this means that you can liquidate no more than 6 gift cards per type of tax payment. Via phone, though, you may find a tax processor willing to accept multiple debit cards for a single overall payment. Specifically, OfficialPayments is known to accept multiple gift cards via phone. When you make multiple payments over the phone, you do pay the $2.25 fee for each gift card. Unfortunately, Visa Gift Cards no longer work with Official Payments. See also: Best options for buying Visa and MasterCard gift cards. What type of gift cards would you suggest with Official Payments? Can I pay State taxes (specifically Pennsylvania) with any service other than plastiq? I have been paying the yearly tax payments with credit card and have had to cycle the limit at least once. So I’m interested in paying quarterly estimated taxes. My question is, can I just go on say officalpayments.com and make a payment or do I need to fill out a form or inform IRS first that I will be making a quarterly estimated payment? If no form is needed, what is to stop me from sending a payment check to IRS whenever I need to meet MSR? ( other than the 2 payments per processor) Seems like a cheaper way than using Plastiq? You do not need to fill out a form or inform the IRS first. There’s nothing stopping you from doing this to meet minimum spend. It is cheaper than Plastiq. The main thing is that you need to have enough money sitting around so that you’re OK giving the IRS a loan until end of year taxes are due. With Plastiq, presumably you’re paying bills that you would have paid anyway, so they don’t have the same issue. I have read a couple articles suggesting increasing your exemptions to the max so you essentially have no withholding from your paychecks, then just paying estimated taxes via the method outline above. I’m too chicken to do so for fear of messing something up. Has anyone done this? Same question here. Anything wrong with changing withholding and paying estimated taxes instead of payroll taxes? I can’t think of any reasons not to do this except that you might forget to make the appropriate estimated payments. If so, there’s a chance you would owe a penalty. What’s the difference between business tax types and personal tax types for a sole proprietor. I am asking because the fees are tax deductible for business and not for personal. The post lists form 1040 2017 as an example, but all 3 sites list 2016 as the current year. When will the current year switch to 2017? Select option 4 above to proceed. Appreciate the reply, but it does not address my question. I’d like to know when the current year in option 1 will become 2017. I don’t know but you wouldn’t file 2017 return until the form is available from the IRS. Likely available early 2018. I Remember in q1 you sometimes have 2 years to choose. Thanks for the timely reminder, and all the examples and detials to show how worthwhile this is. I’m still in my first year with the old Amex blue for business and haven’t maxed out the 50k cap on 2x points. In this case I also get 30% annual bonus, correct? Yes, but the 30% bonus is based on spend. So, if you spend $10K, you would initially get 20K points (thanks to the 2X offer) and then at the end of the year you would get 30% more from the 10K spend = 3K. Trying to make sure I don’t mess up my first time trying to do this… and you definitely appear to be the expert in this category! a) It would seem the biggest GCs I can get are $1,000 via Simon Corporate Gifts. Correct? Or is there a better option? b) Let’s say I buy $10k at Simon. They will be Visa. It sounds like Official Payments no longer accepts Visa. So does that mean I’m limited to using 4 cards per quarter? c) If I didn’t pay Q3 estimated with any payments service, can I do 2 per service for Q3 and then also 2 per service now for Q4? And then 2 more in April for the full return and 2 more for Q1? i.e. I could do 16 payments by April? A) That’s the best option that I know of. To get those you need a Simon Corporate account, and they often do not approve those. The best most people can get are $500 gift cards. B) Yes, that’s right. But you can buy Mastercard gift cards through other stores. C) I don’t know if the services would still let you pay for Q3. If they do allow it, then yes you can do that. Interesting, thanks. I have a large/legit business so probably could get a Simon acct, but after reading B) I’m wondering if there is a better strategy. If Official Payments lets you combine Mastercards, is there a store I could just load up on $500 or greater denominations of MC GCs and enact the same strategy but in one call to OP? What store(s) should I look at? That 2 payment per processor / quarter limit… is it per family? Or per individual? If I pay 2x using my SSN and then 2x using my wife’s, will I get in trouble? OfficialPayments seems to accept prepaid Visa cards from e.g. prepaiddigitalsolutions.com. I get these through my work as health incentives. They may not be the same as Visa Gift cards you buy in the mall, but have a lot of the same restrictions (expire after a year, can’t be redeemed for cash). Travel Tips: How miles and points have helped my family see the world – We Go With Kids!